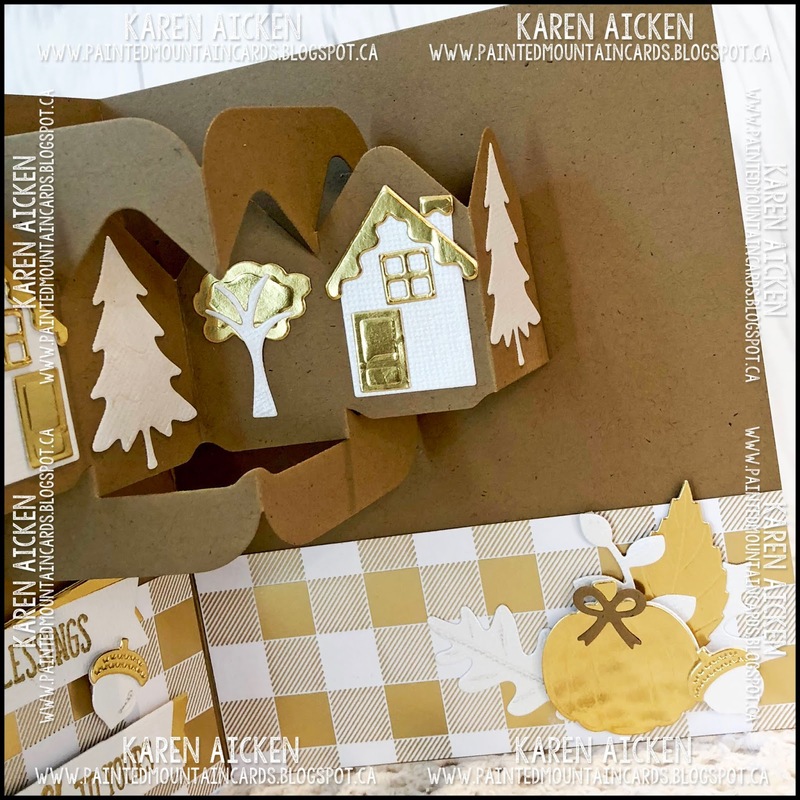 Welcome to Karen Burniston's Designer Challenge for September: Theme: "HOUSE" - use the new House Pivot Panels OR the House & Fence for a card of any theme". Of course I wanted to play with the House Pivot Panels! Since I love Kraft, I decided to go with a white, gold and kraft card in a Thanksgiving theme. 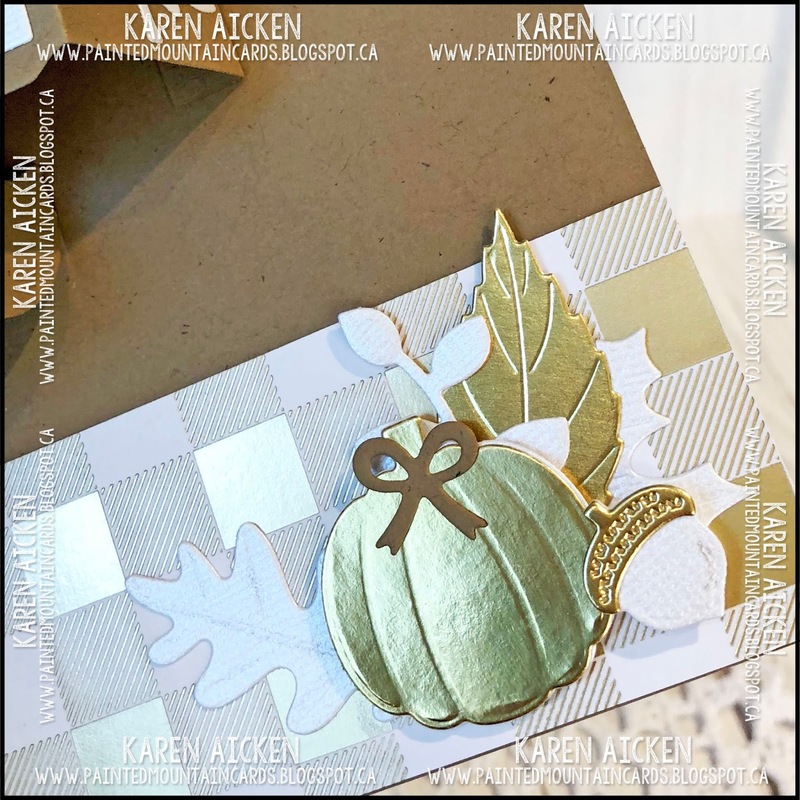 I love (LOVE LOVE LOVE) the new Autumn Elements, so added them here cut from both white pearlized textured card stock and gold foil card stock. The detailing was hard to see so I lightly went over the embossed lines with a gold metallic pencil crayon. 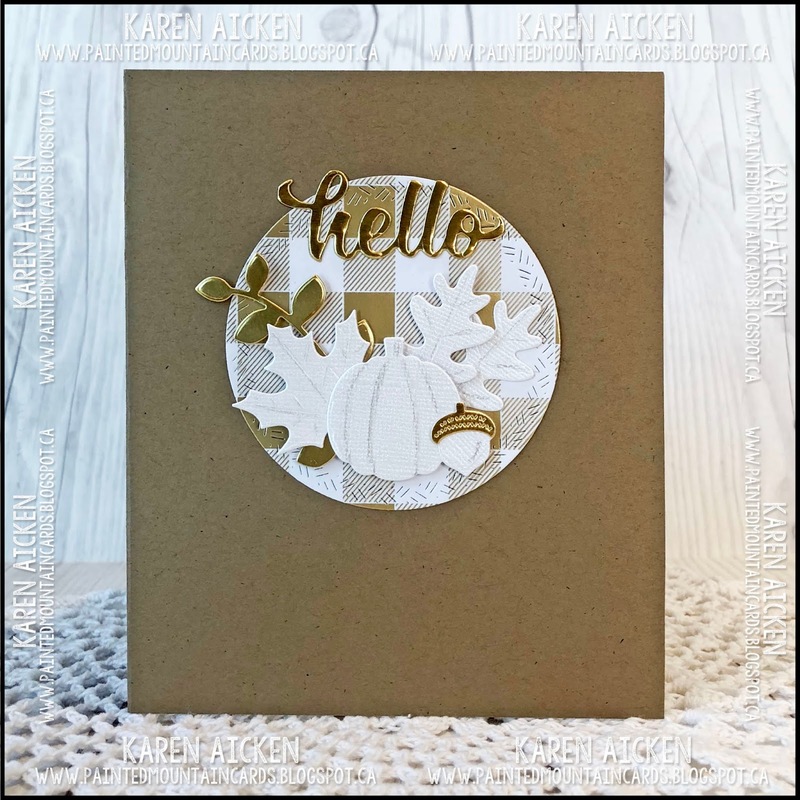 The 'hello' is from Word Set 6 Summer. The patterned paper is gold foil and white plaid and I cut the front circle with the Crosshatch Circles. Here is the inside, with the House Pivot Panel decorated with the decorator dies from it and the Evergreen Pivot Panel as well. 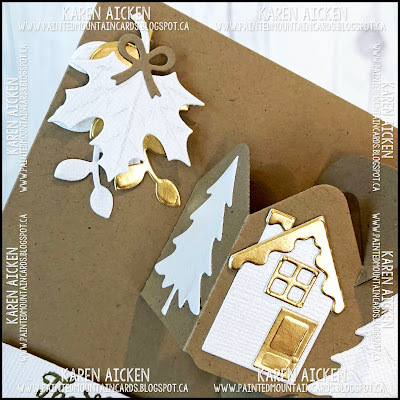 I like to include lots of photos in my Designer Challenge posts, so there's lots of eye candy for you today. I clustered more Autumn Elements at the bottom right and top left of my card. The bow comes with the Evergreen Pivot Panel but I can think of lots of uses for it including using it on the base of balloons! The fishtail banner is from the Word Set 5 Royalty and it's another die I get out frequently. For the lower one, I ran it through my Big Shot a second time on one end only which gave me a shorter banner. The words were gold heat embossed on the banners. 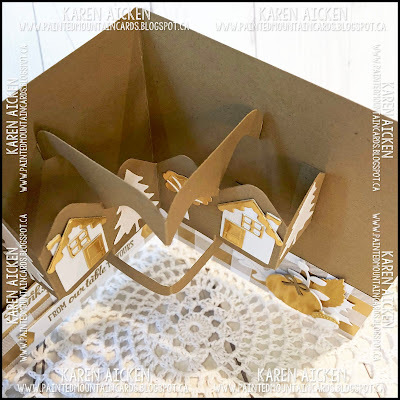 Finally a shot to show you the dimension you get from the Pivot Panels ... but the card still folds completely flat for mailing. I added my decorator pieces flat to the panels, as with foam tape (which I normally like to use) the card can get really thick really quickly. I like to be able to mail my cards for a single stamp when possible. Finally, here is a group shot for those that like to pin those. I hope you will check out the rest of the Design Team's projects - their blogs are linked to the right. We welcomed THREE new members this month - Lois, Irene and Sandy. Their blog links have now been added to my blog roll as well. Karen Burniston will have her post on her blog tomorrow (Wednesday September 5th). I always enjoy your cards Karen. This is a spectacular autumn card!! 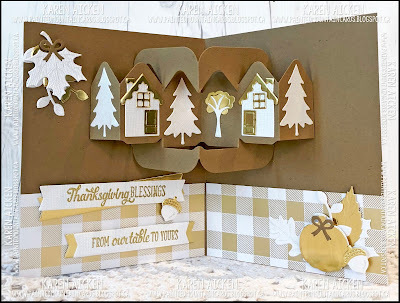 What a gorgeous Fall card and I love the gold accents, this is so sophisticated! Thanks for sharing all the extra photos, I love to see all the details!